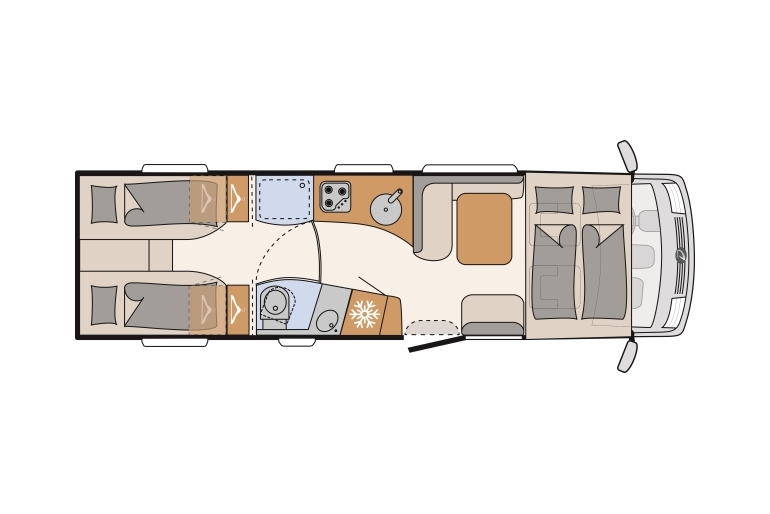 The shown motorhomes are only example vehicles of the different groups - McRent does only guarantee the number of seats and sleeping places not a specific layout. Please also note that the seating- and sleeping places are shown with the max. number of persons, some vehicles within the group can have less sleeping places. It is absolutely necessary that we are receiving the number of travelling persons. "